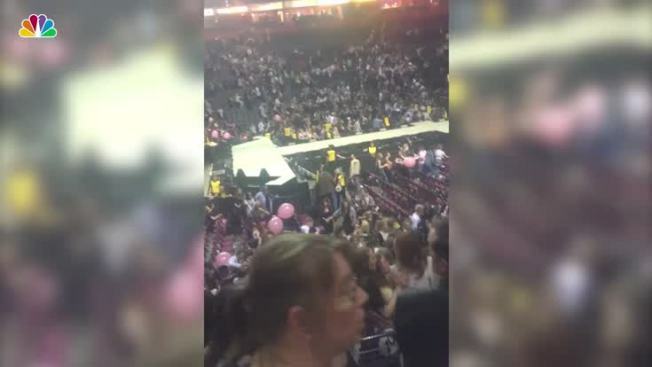 At least 22 people including children were killed and more than 50 injured in a suspected suicide bombing at Manchester Arena at the end of an Ariana Grande concert Monday night, British police said. Ian Hopkins, chief constable of the Greater Manchester police, told reporters that officials are treating the incident as a terrorist attack. He added that it is believed a single attacker carried and detonated an improvised explosive device around 10:33 p.m. local time and then died at the arena. Hopkins said officials are now working to establish if the attacker was part of a network or acted alone, adding that more than 400 officers have been deployed in the "fast-moving" investigation. A 23-year-old man was arrested in South Manchester in connection with the bombing, police said Tuesday. British Prime Minister Theresa May early Tuesday called the attacker a "terrorist" who acted "to cause maximum carnage and kill and injure indiscriminately." 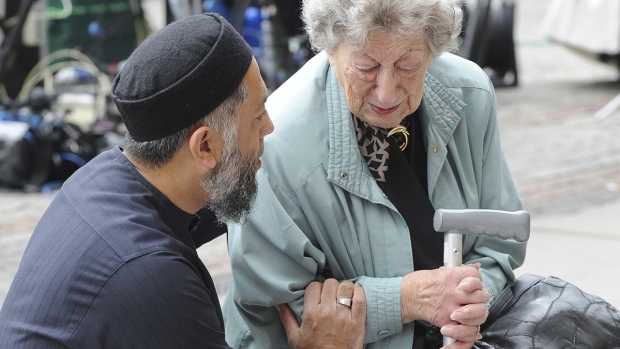 She said the incident is "amongst the worst terrorist incidents we have ever experienced in the United Kingdom" and "stands out for its appalling, sickening cowardice." May added that authorities believe they know the identity of the attacker but did not confirm the name. The government was expected to call an emergency Cabinet meeting. Mayor of Manchester Andy Burnham called the incident the "darkest of nights" and "an evil act." "Manchester is today waking up to the most difficult of dawns," Burnham told reporters. Multiple U.S. officials briefed on the investigation told NBC News that preliminary reports indicate the explosion took place outside the arena on the southwest side, opposite the Manchester Victoria transit station, which is part of the greater arena complex. Concertgoers described the scene after the explosion. Majid Khan, 22, said, "a huge bomb-like bang went off that hugely panicked everyone and we were all trying to flee the arena." "It was one bang and essentially everyone from the other side of the arena where the bang was heard from suddenly came running towards us as they were trying to exit," he told Britain's Press Association. Initial reports from the scene relayed to U.S. officials note that a number of the casualties may be from the stampede that occurred after the incident, according to NBC News. Late Monday, Grande tweeted: "broken. from the bottom of my heart, i am so so sorry. i don't have words." Joseph Carozza, a representative from Grande's record label, said in a statement to the Los Angeles Times that the singer is OK and they are investigating what happened. Other public figures and politicians, including President Donald Trump, responded to the attack as well. On social media, people shared videos of people rushing from the arena and ambulances arriving. “I just heard a loud bang right after the concert," Ivo Delgado told NBC News. "Only heard one. People started screaming and going to the other side of the arena. When we left [the main arena] there was smoke and people lying on the floor." Many on Twitter were using the hashtag #RoomForManchester to offer spare rooms or other resources. Several hotels in the area were among those offering a room to those stranded in the area, the Manchester Evening News reported. Hopkins said emergency numbers have been set up for people concerned about their loved ones, and he encouraged anyone to send video or photos that may help in the investigation. Facebook activated its Safety Check feature for people to mark themselves as safe or check on friends or loved ones. The Dangerous Woman Tour is the third concert tour by Grande to support her third studio album, "Dangerous Woman." The tour began on February 3, 2017, in Phoenix, Arizona, at the Talking Stick Resort Arena. From Manchester, the tour is to move through Europe, including Belgium, Poland, Germany, Switzerland and France, through the summer with stops in Brazil, Chile, Argentina, Costa Rica, Mexico and on to Japan, Thailand, the Philippines, New Zealand, Australia and more. There was no immediate word from Grande's team on the upcoming stops. Manchester Arena, which can hold 21,000 people, is the largest indoor arena in Europe, according to its website.